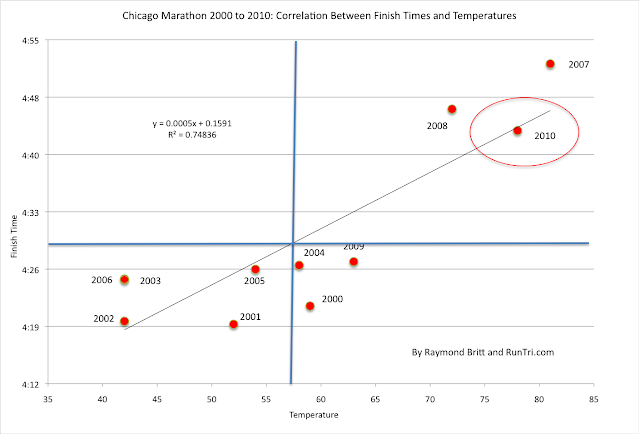 We've closely studied the relationship between weather conditions and finish results over a multi-year period for some of the world's top endurance events, including the Boston Marathon, Chicago Marathon and Ironman Triathlon World Championship in Kona, Hawaii. 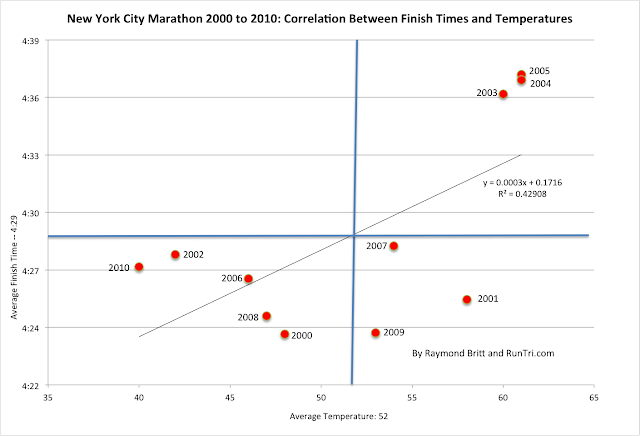 We've also analyzed New York City Marathon results vs weather conditions over a 10-year period, and here are the results. 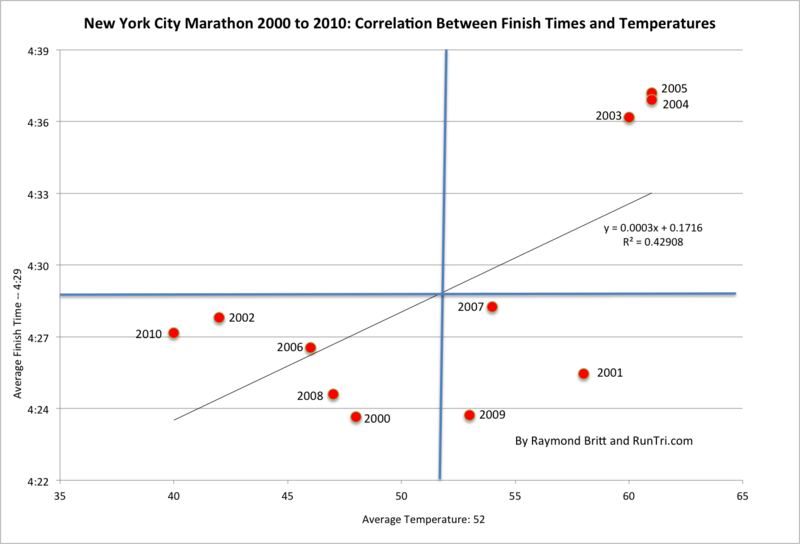 While not definitive, it appears faster marathons in New York City are run when temperatures are between 48 and 52 degrees. Naturally, hotter days lead to much slower times. 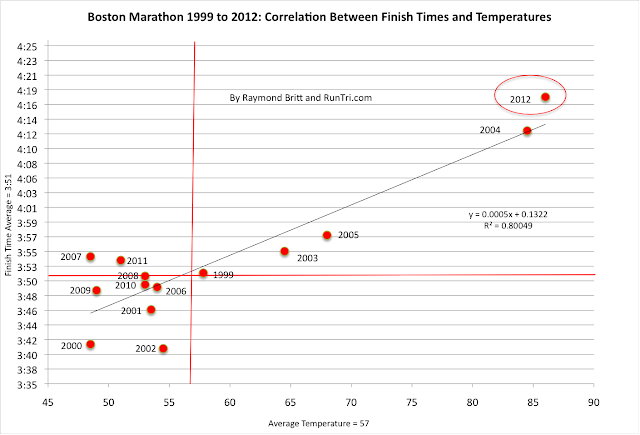 For comparison, take a look at our analysis of Weather Condition Impact on Race Performance at the Chicago Marathon and Boston Marathon. For more, see our complete New York City Marathon Coverage, and for even more, see our comprehensive analytics archive, including more than 200 posts, in our Stats/Results/Analysis tab.